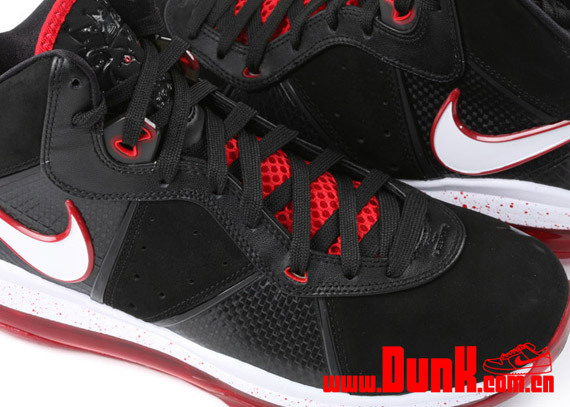 New images surface giving us yet another detailed look at next week's release of the Nike LeBron 8. 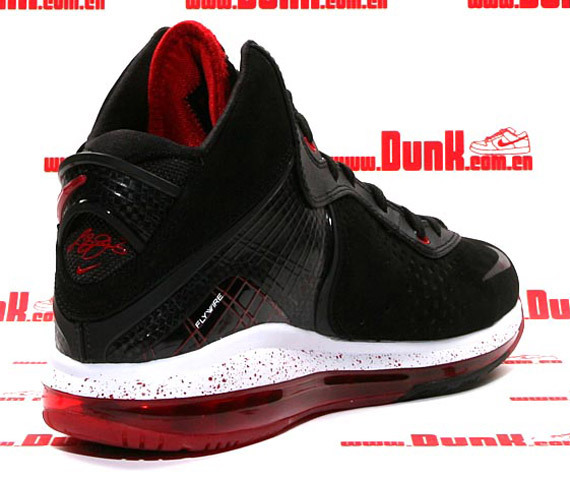 While all the hype around the LeBron 8 is focused on the recently released "South Beach" colorway, we now have a closer look at what LeBron will be wearing on court for the Miami Heat. 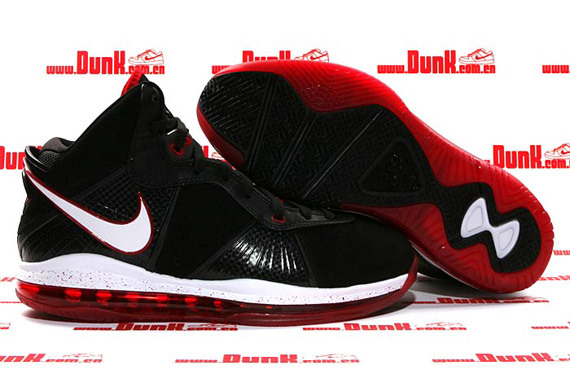 Perfect for any of of the three Miami Heat uniforms, this latest LeBron 8 arrives in a classic black, white and sport red color scheme. 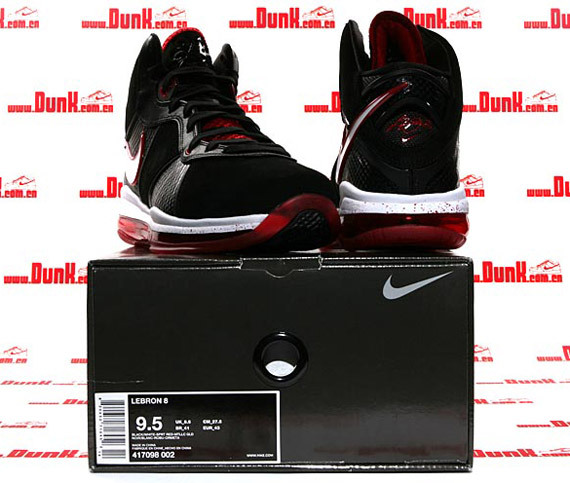 A black nubuck is used on the toe area, and also takes place on the side panels and ankle area. 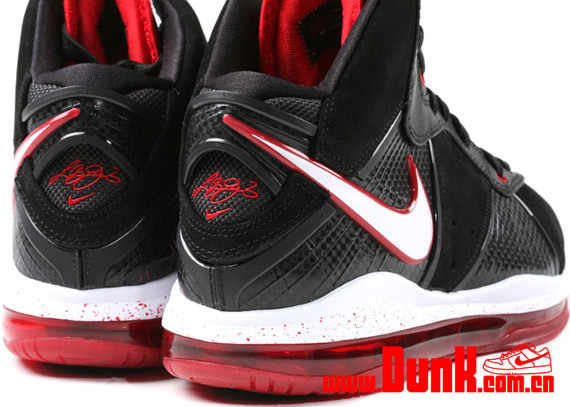 Creating the Miami Heat-inspired look, sport red is used on the tongue, Swoosh border, 360 Air unit and other areas throughout. 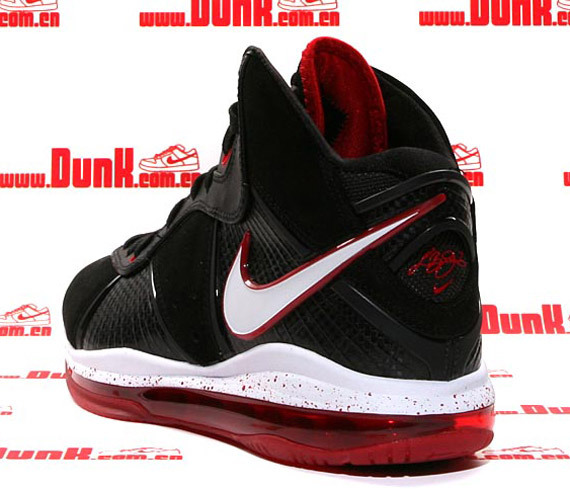 White also joins in on the fun, working on the Swoosh and midsole wit the help of some sport red speckle. 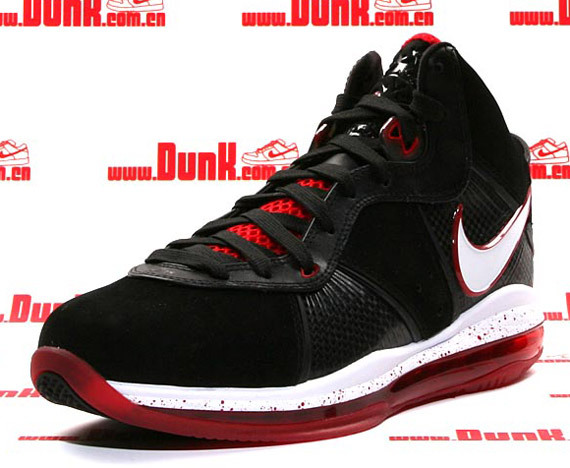 You can pick up this all new colorway of the Nike LeBron 8 at Nike Basketball retailers Nationwide beginning October 26th.